During our UK holiday we spent a week close to Porthmadog's Harbour Station where the Ffestiniog and Welsh Highland Railways meet. 1 The first time I saw no 87 of the Welsh Highland Railway it was crossing Brittania Bridge, heading for Caernarfon, on 27 June. 2 No 87 is one of the earliest batch of four built in 1937, built by Cocckerill. The engines of this are easily recogmised by their riveted bunkers, short cab (no window behind the cab door) and the somewhat elipsoid front bunker top (the others being dead flat). 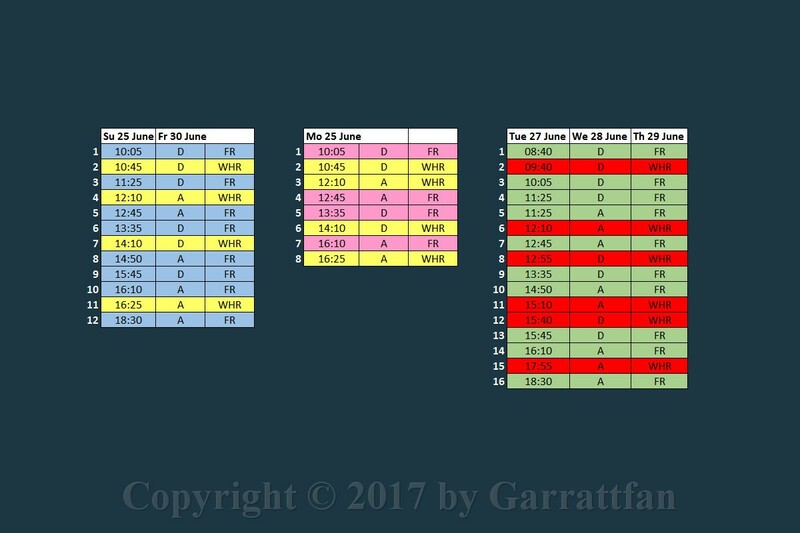 5 I made myself a timetable of all arriving and departing trains in Porthmadog, so I knew what to expect next. 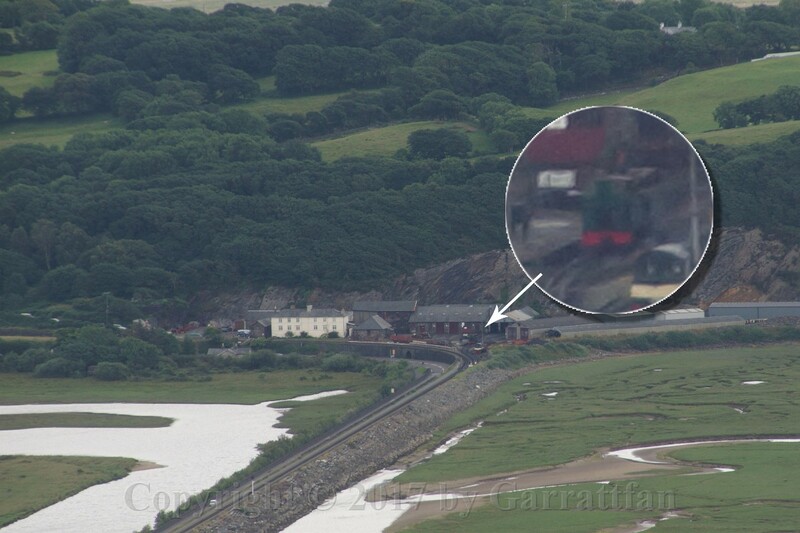 6 The next day I found the loco arriving heading the 12:10 from Caernarfon. Although the weather wasn't exactly favourablle, it wasn't bad either. In the mountains it was visibly raining heavily. I talked to the man just getting off the train on this photo, and he said there was "driving rain" at Rhyd Ddu and it only stopped at Pont Croesor, just a few miles out or Porthmadog. 10 Having been busy with the Fairlies on the previous day the NGG16 made a massive impression on me, and frankly it is massive bearing in mind that this is only 2 ft (600 mm) gauge. 13 Then something happened I would never have dreamed of: a Fairlie came down the track and coupled up. 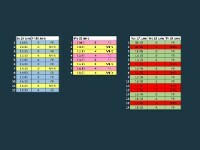 15 It roused a huge interest so it was a bit of a squeeze to get decent photos. 26 On the last day of our stay we walked up Moel-y-Gest near Porthmadog (262 m above sea level). 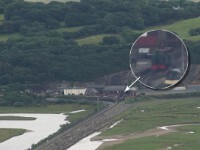 From there we saw no 87 approaching Porthmadog, again with the train from Caernarfon due at 12:10 in PHS. Here it is crossing under the A487 by-pass. 31 Boston Lodge in the distance. No 87 can barely be made out. It was to be the last sighting this holiday.